Anyone who says they’re not affected by nostalgia should put their adult colouring book away and face the facts. Childhood memories can be the happiest we hold, and cartoons played an important role in the childhood of millenials. Why not have the sweet throwback of Saturday cartoons with the level of maturity you have now? Some cartoons give you the best of both worlds and here is a list of cartoons you may enjoy watching in your late teens and adulthood. Rick and Morty is one of the most popular shows for adults right now, with the highly anticipated third season coming out… we don’t know when. The series follows a genius grandfather inventor and his below average grandson as they travel through infinite universes, encountering space foes and sobering life realisations. The humour varies from dark to slapstick, so it has the potential to please most grown up audiences. While this show was created for Cartoon Network, the art style and captivating storyline can be a pleasant change for adults who are used to more dramatic entertainment. Samurai Jack is a warrior from the past, sent to the future by the evil Aku, a mysterious entity with magical powers. Jack must find a way to travel to his own time. Fox’s favourite family made their debut 28 years ago and have since become one of the most iconic TV shows in history. The Simpsons combines realistic family dynamics with satire and political commentary. Once a year, the show releases an infamous Halloween episode known as Treehouse of Horror which has become an institution in of itself. 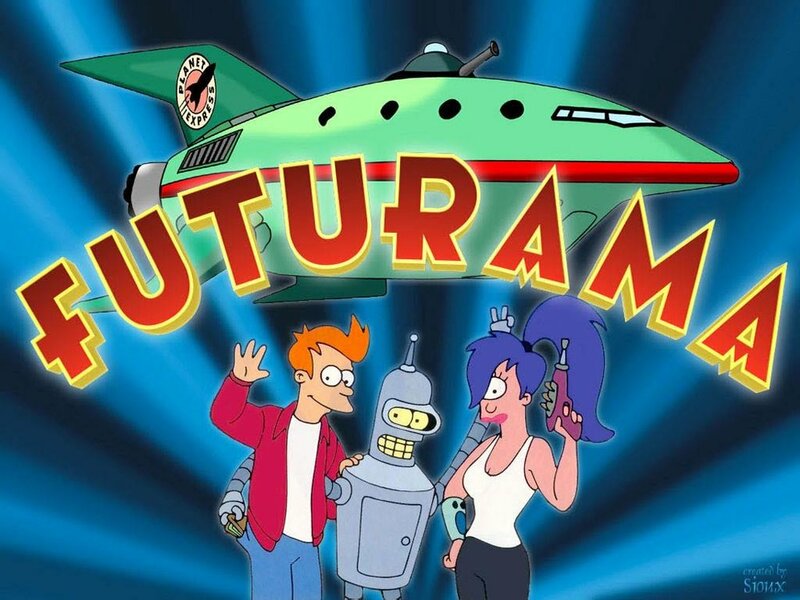 Made by the same creators of The Simpsons, this series is set in the future and follows the lives of an intergalactic delivery company. Similarly to The Simpsons, Futurama makes social and political commentary by mirroring our contemporary situations. The characters are zany and original, facing new challenges each episode that are the prefect mix of Sci-Fi and relatable reality. Archer is a spy series set in the 1970s (yet they somehow have cellphones) that follows the adventures of a group of secret agents. The humour is sharp and cutting, with characters that provide amusement in unique ways. This show is more adult than the ones previously mentioned, featuring sexual content and harsh language, so be advised that this is for grown ups only. You’ve probably seen worse on Game of Thrones though, so don’t be alarmed. This series is the most cynical and sobering of the cartoons on this list and bases its humour on serious themes such as alcoholism, depression and drug abuse. Despite this, it is one of the most popular shows on Netflix and is especially popular with young adults. The main character, Bojack, is, as the title suggests, a horseman. Most of the characters are animals and the show uses traditional techniques of animals to represent personality types but in a refreshing, contemporary way. Noteable mentions: The Big Lez Show (insane and hilarious, you'll find it on youtube), the original Pokemon series (flashback to grade 4, just got home from school, eTV - amiright? ), Adventure Time and Spongebob Squarepants.